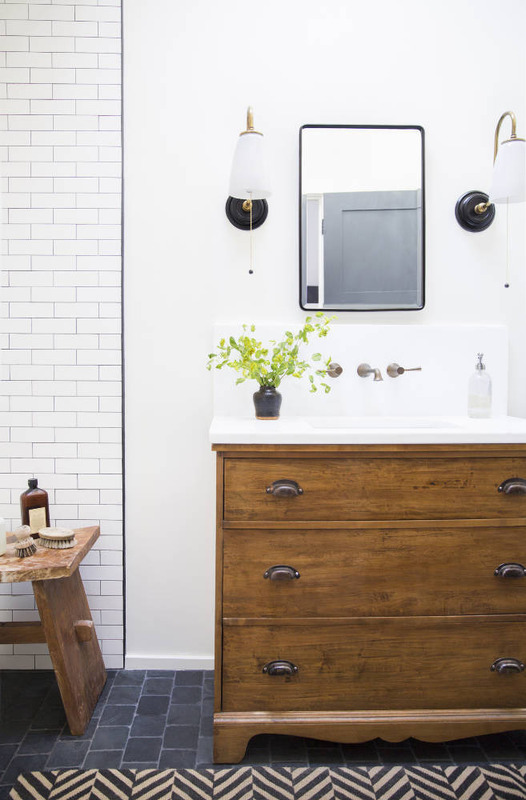 Shopping for bathroom vanities can be very daunting. 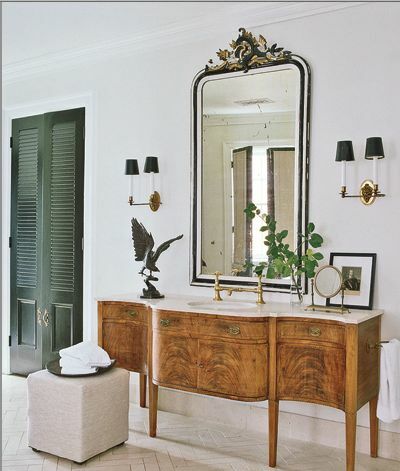 Custom vanities often look best, but can be really expensive and 'off the shelve' options can look cheap and generic (not to mention often scratch and chip easily). So what is one to do?! 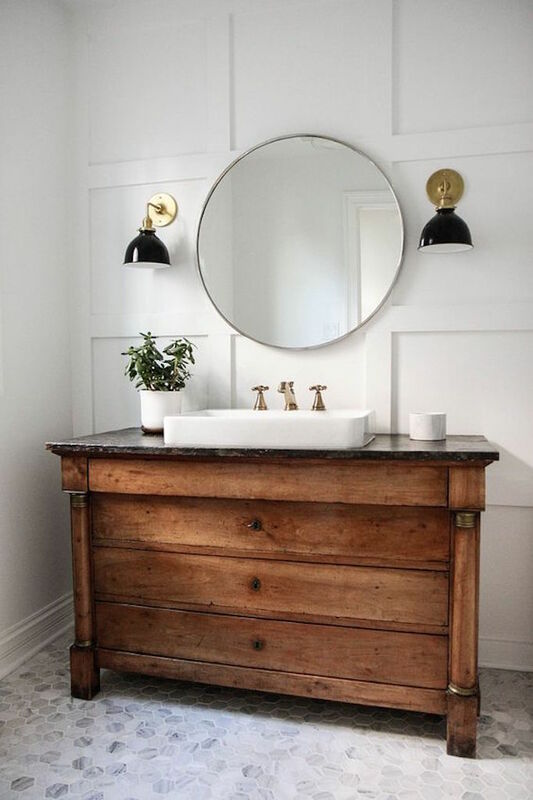 Of course there are vanities that are readily available from stores that can look great (especially with a new counter top, faucet, and hardware), but if you are looking for a unique bathroom vanity without breaking the bank, you should consider converting an antique piece! I know, I know antiques can be quite pricey on their own, but if you know where to look you can find amazing vintage/antique/second hand furniture at great prices. 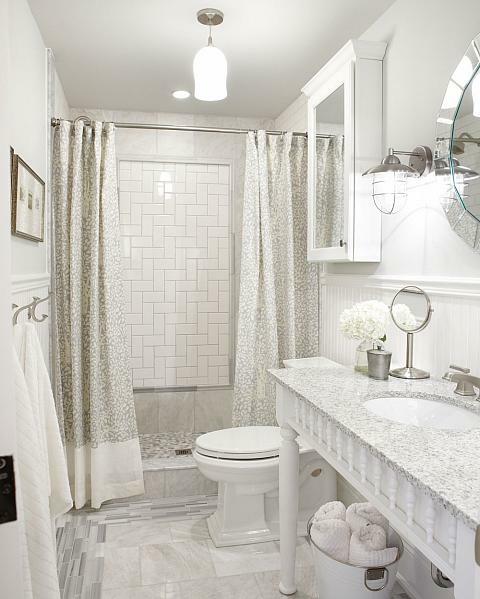 The challenge here is finding a piece that not only looks nice, but fits your space (which is a bathroom that probably has limited space to begin with) and at the same time allowing for some customized plumbing alterations! Some people don't mind exposed plumbing under the sink and some people hate it - that is simply preference. What is important to remember is that the top of the piece is deep enough to accommodate a sink and faucet. When converting a vintage piece, it is easier (and more cost effective) to use a vessel sink, but you can also use an under mount option if the piece allows for more alternations - this will also allow you to install a new counter top if you wish. 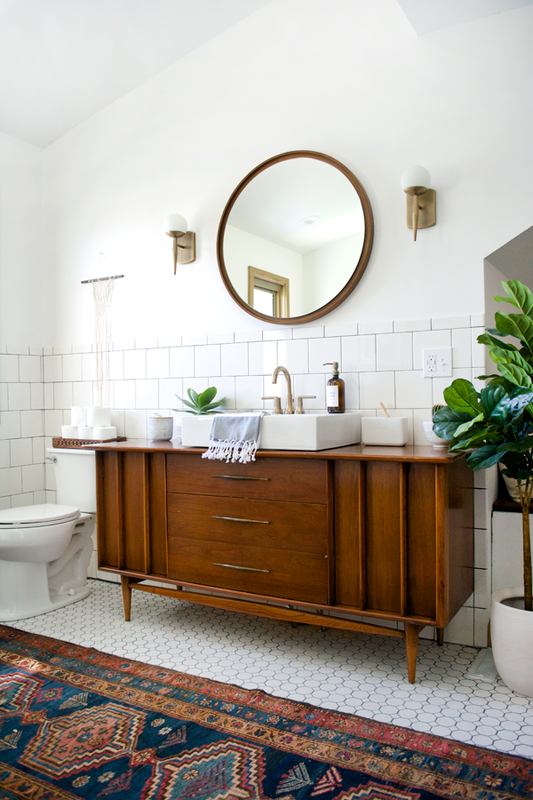 Keep in mind that you may find the perfect vintage piece for a steal, but you still need to account for a sink, faucet, plumbing fixtures, and labour in order to make the conversion. I love the one below! Baskets are a must if the bottom of the piece is open! 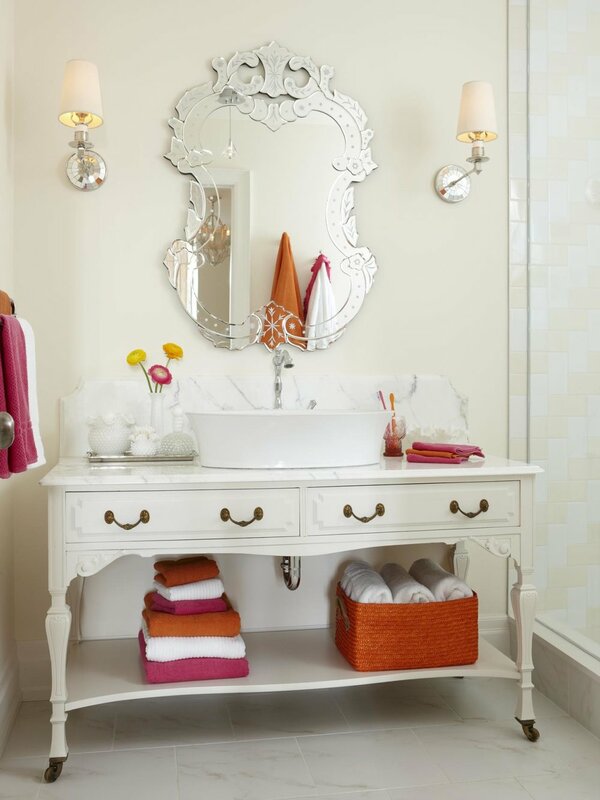 Smaller pieces work great in powder rooms as well. You can also create a really cool look with mid-century pieces!